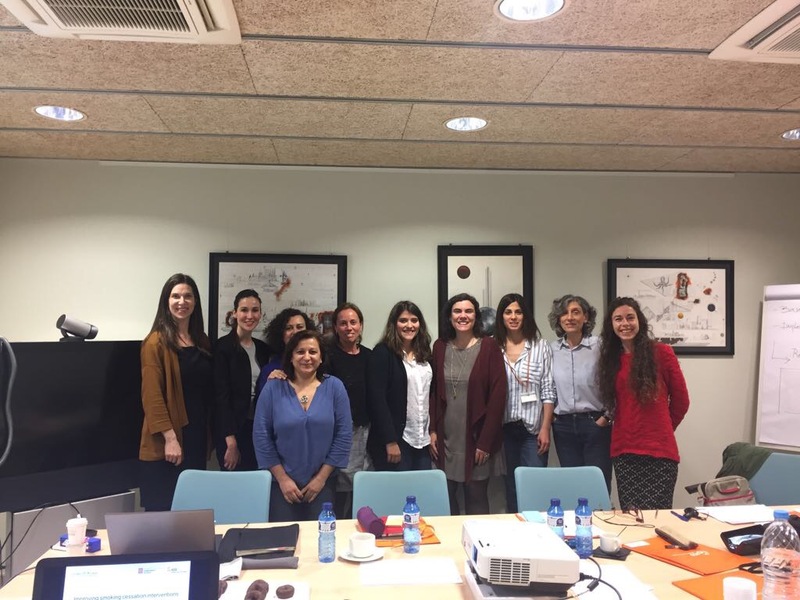 On April 7th 2017, 10 researchers from the ISCI_SEC Project met in Barcelona to plan the implementation process of a smoking cessation intervention in hospitals, which ultimately will help to systematically identify, motivate, treat, and follow-up smokers after discharge. This project will be applied in two hospitals in Portugal (Hospital Cova de Beira and Hospital de Braga) and Spain (Hospital Duran i Reynals and Consorci Integral Sanitari). 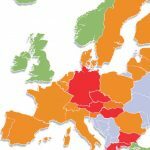 In both countries smoking consumption is still high (38% and 29% respectively); smokers are less likely to have tried to quit and to use cessation aids; and cessation programs in hospitals are rather infrequent and inconsistent. 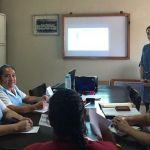 An online brief intervention training designed by the Catalan Institute of Oncology (ICO), which is based on the latest guidelines for treating hospitalized patients. Distant learning is more cost-efficient, and provides modes to teach and reinforce counseling skills that often can be difficult to convey in the traditional classroom setting. The ICO online training has been implemented in 45 Catalan hospitals with more than 1000 participants (with a success rate of 90%). The Ottawa Model Smoking Cessation (OMSC) implementation tools allow the application of the “5 A’s” approach to cessation, adapted to each hospital setting. The OMSC program has been found to significantly increase long-term cessation rates by an absolute 15% (from 29% to 44%) in cardiac patients, and by 11% (from 18% to 29%) in hospital populations. The Agency for Healthcare Research and Quality model for transferring evidence consists of three major stages: Knowledge creation and distillation which requires conducting research and then packaging relevant research findings into products that can be put into action.